GE Industrial Spec-Setter™ Heavy-duty fusible safety switch features quick-make, quick-break mechanisms up to 30-1200-Amps. It has lockable three position (on-off-on) handle with high visible on/off label. 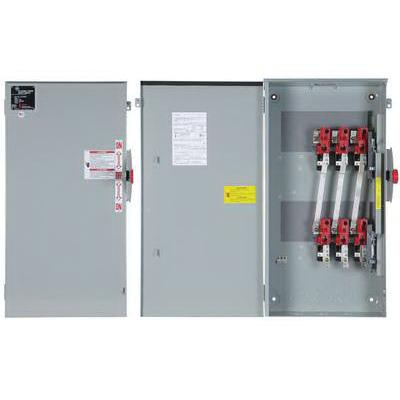 This 3-Wire, 3-Pole switch operates on voltage rating of 600-Volts and current rating of 800-Amps. It is suitable for electrical distribution and control. Fusible safety switch is UL listed, CSA certified and GSA compliant.